I’ve been wrapping up the end of year evaluation season this past week. I love conversation guided by reflection – light and shadows of the previous year. 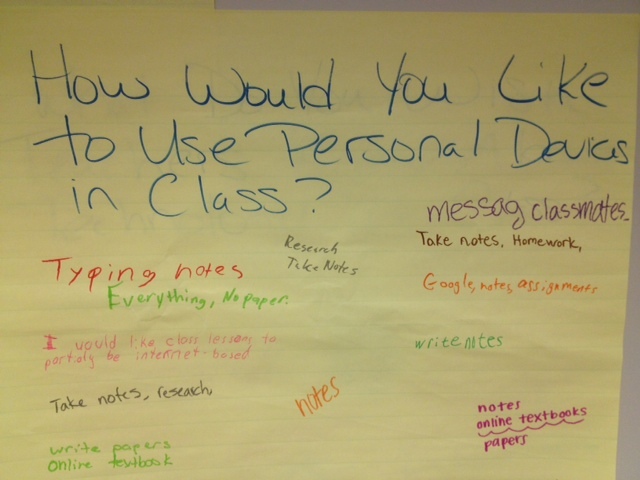 Practices that knocked it out of the park… ideas in search of a practice brainstormed. This week I met with both our librarians (yes… be jealous… Brebeuf has TWO actual librarians) ‘cause I am a cool department chair amongst other awesomeness. · Know every trending vampire, werewolf, post-apocalyptic, dystopian series by heart AND yet engage in intimate dialogue regarding the merits of Keats vs. Thoreau’s images of nature (and where to find the definitive concordance of both). 7 schools X 400 students per school = about a 1:2800 specialist: student ratio… add in teachers in the building and heaven help us parents and the number is probably more like 1:4000. I hypothesis that while some books may get checked out and stories read, there is no access, evaluation, use discussions taking place or technology rich learning happening in this structure. Brebeuf has roughly a 1:400 ratio. Compare that to 1:2800... wonder how we perpetuate the Digital Divide? Cutting Media Specialists in public schools is an excellent way. In 2011, the AASL (American Association of School Libraries) division of ALA surveyed Urban Media Specialists (full report) finding these individuals serve populations with high poverty and English language learners as well as high dropout rates. Students had low access to technology in the home and little support in how to effectively use technology to support their learning. The study also found that the Media Specialist was often the only adult in the building who worked with students across grade levels and curriculum. Only 37% of those surveyed had a full-time Media Specialist in the building. Yet, the schools were under pressure to ensure “college readiness” and career skills. Read the study, it will break your heart. 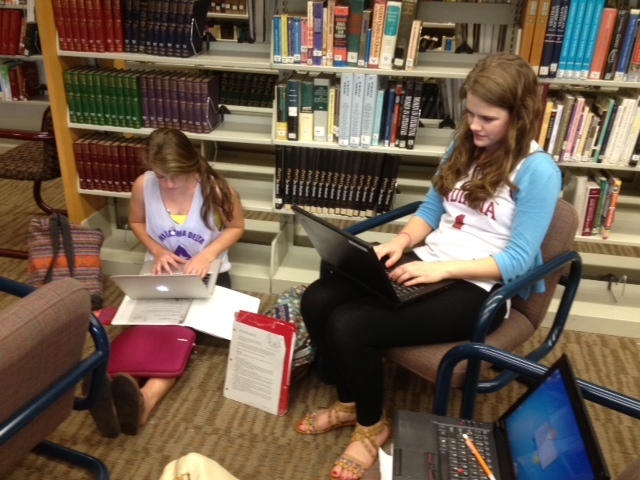 So where are students learning the skills we claim they need to know to be productive, 21st century citizens? Where are they learning how to access, evaluate and use information in the tidal wave of data found on the Internet? Where do we create spaces of equitable access to digital tools and resources? I can tell you as information literacy is not tested in Indiana standardized tests and in light of new pay-for-results salary schedule these skills are not being taught in the classroom. (I don’t fault classroom teachers, they have enough to cover). And trust me, children do not magically show up in kindergarten knowing how to conduct a productive online search, evaluating results to support their research question. Direct contact, direct support… if we truly believe every child deserves a college-ready education then we’d better support Media Centers in our public schools. 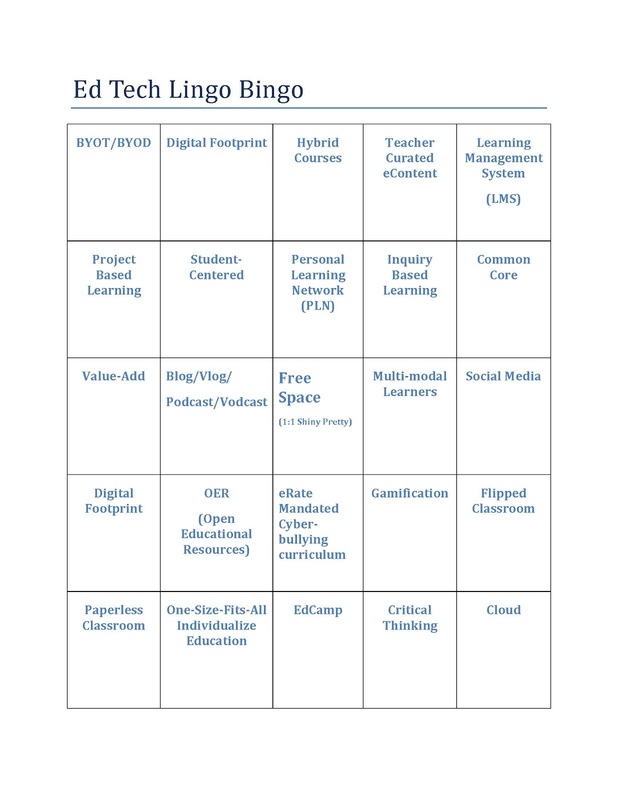 Some of you might be aware of a little game @jdferries and I made up last year after sitting in way too many webinars entitled "Ed Lingo Bingo". Now, after sitting in on way too many #chats, we bring you Ed Tech Lingo Bingo. Curl up with your favorite device, login to a #chat and play along! Lately, @jdferries and I have been doing a lot of talking about 1:1 BYOT to constituents. One challenge of communicating progress lies in the visualization what is essentially invisible integration. We didn't go out and buy 800 of the latest, glossy marketed shiny pretty device. We chose the apparently radical route of encouraging choice in technology - which is exactly what all the shiny pretty marketing campaigns tell us we should do... at home. Let’s say it again shall we... “Integration does not just mean placement of hardware in classrooms”. I couldn’t agree more. I think I have been clear in my opinion that education is spending way too much time on the hardware (nouns). The challenge of communicating progress with technology is… nouns are visible. I can touch, count, take marketing photos of… hardware. I can create push button trainings for... hardware. I can create a single jailbreak to dismantle cameras... for hardware. Quite frankly, just as they are the easiest part of speech to identify on a standardized test, nouns are the easiest instructional technology element to control student access, market to the school board and lecture about in trainings. But you can ask my mother… I seldom take the easy path. Learning is hard to photograph. Learning is hard to control. Heck, as current discourse shows, learning is hard to measure with any tool, test or imaging machine. Oh sure, we say learning … a lot… but reading on we get side tracked into products, devices or matrixes designed to measure learning… but we losing the subtlety of the process of learning - context/experience/reflection/action/evaluation. So how do we visualize verbs to showcase instructional technology for our constituents (and the occasional newspaper we are trying to encourage to cover the magic - yes you - @indystar and @criteriononline)? Borrowing some ideas from others (most generally the Northwest Regional Educational Laboratory) here are a few ideas. Is technology in the classroom embedded in the curricular objectives? I’ve said it before, but the curricular objectives MUST dictate tools used. More often than not, a highly integrated classroom will have students working with a varied of tools at a variety of stages. I am most concerned when I see a room where every eye is glued to a screen. State of the Art is not shiny pretty, silver screens broadcasting the same information, in the same mode to all students. *This does require someone walking into a classroom - not just reading aggregate data in a spreadsheet. Problem solving and higher order thinking is evident in classroom activities. *Again, this does require someone walking into a classroom - not just reading aggregate data in a spreadsheet. Students independently chose the technologies appropriate to their learning objectives. You knew I’d get to BYOT eventually! This is part of that “problem solving” piece. It takes a high degree of critical thinking to determine the best tool for the job. Empowering student to make that choice is no longer an option. 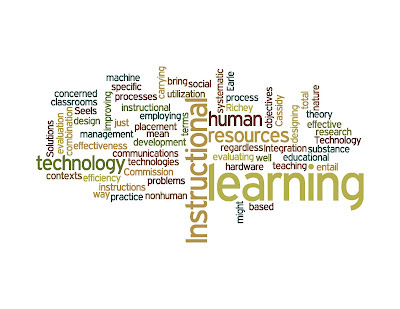 Instructional technology as "concerned with improving the effectiveness and efficiency of learning in educational contexts" is not just the arena of PD officers and teachers. State of the Art is allowing for differentiated content acquisition/engagement modes and individualized demonstration of mastery . *Yet again, this does require someone walking into a classroom - not just reading aggregate data in a spreadsheet. As we like to say around here - integration is happening best when it's invisible...and not a classroom full of hardware. Communicating progress in a noun driven world though... that's a real challenge. I think I can safely say that technology is part blessing and part curse. Today for instance, it was a blessing. I needed electronic copies of old receipts from closed fiscal years. Simple as finding the transaction number on a spreadsheet and a search box… 10 years ago (heck, 5 years ago) I would still be sifting through shoeboxes looking for elusive slips of paper. Sometimes though, technology is a curse. The constant need to check email “just in case” has kept me from focusing on the joy in front of me. My anxiety for control and order is fed by the burden of instant communications. Feeling the need to answer every email - even if it’s Sunday afternoon. 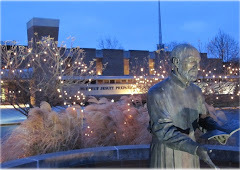 At Brebeuf, we remind ourselves that God is found in all things. To recognize God in all things, one must be present in the moment. The counter argument to BYOT is that kids will constantly be on devices. The concern is in part a loss of control on the adult front. But I think the deeper concern is one to consider – will students lose the moment because their nose is buried in a device? I argue that the benefit of BYOT is having this discussion. By engaging students in the conversation that now is a time to use a device (say researching) and now is not the time to use the device (discussion of irony in a piece of fiction). Part of our responsibility as educators is intentionally modeling when a device is appropriate and intentionally modeling when the device is on the desk or in a backpack. Young people use technology inappropriately because they have never learned otherwise. By modeling, discussing, practicing and reflecting using the device the student chose in school, we provide a safe and supportive learning environment for tomorrow’s adults. It’s really not about the device. It’s about giving experiences in an authentic context. And the side benefit is we develop men and women who recognize when it’s time to use the device and when the device should be left in the backpack. ***Now I am putting this blog away and going to Camarata … with my technology. Modeling timing multimedia show to accompany the music… AND being present in the moment. We Americans like our bling. Even those of us in the staid Mid-West fall into the trap (right now seems to surround women’s handbags with enough glitz on them to signal space). And while shiny, pretty isn’t so bad on evening wear, it is not a criterion for purchasing classroom technology… EVER. I follow several chats, message boards and blogs emerging from educators of all walks. This week has been particularly frustrating as several posts for e-book suggestions/curriculum/lesson plans/integration specialists/AUPs have gone out specifically mentioning a shiny pretty already purchased - looking for some kind of way to be used in teaching and learning. My favorite post of the week being (and I am paraphrasing so as to not offend) “We bought hundreds of X device and are now looking for a digital curriculum. Anyone have suggestions?” The device (noun) was the motivator… now the curriculum side (verbs) kicked in. That’s backwards people. The shiny pretty should never be the primary motivator. Reflect on why you are considering a change. Brainstorm current practices that are not effective. 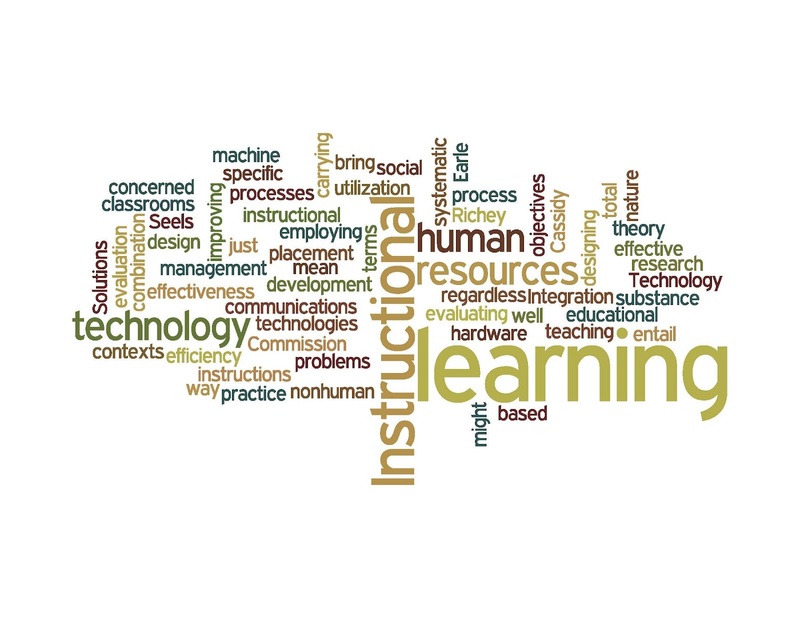 Brainstorm influences that are encouraging, guiding, forcing the re-assessment of technology resources. In our situation, demand for information access and research, writing, presentation, data visualization, and communication experiences greatly outpaced access. 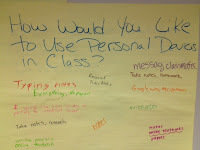 We collected all the “complaints” and realized student and teacher needs could be met with more computer access. This took about 6 months. Gather data on various solutions to meet change. Go into serious research mode. Since we are talking technology here – this is a twofold process. Research your verbs – what is best practice for meeting the challenges discovered above? Gather data from teachers and students as to the real gaps in learning. Suggested actions are surveys, focus groups, testing data and classroom walk-throughs. Research your nouns – pilot multiple devices, talk to colleagues with direct experience with the tool. Suggested actions for this are pilot programs, Tech Petting Zoos, focus groups with hand’s on device trials. Announce to constituent groups the leading decision. Leave time for discussion and questions. Live publically with the decision for a few months to see what might arise. 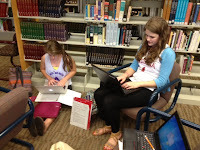 Our voluntary BYOT program began in the Fall of 2011. We announced our 1:1 BYOT program in February after five months of pilot and 7 months before full implementation to allow for discussion, education, more Tech Petting Zoos and Boot Camps.